Wild Garlic, Wood Garlic or Ramsons (Allium ursinum) all stand for a spring favorite in our parts. 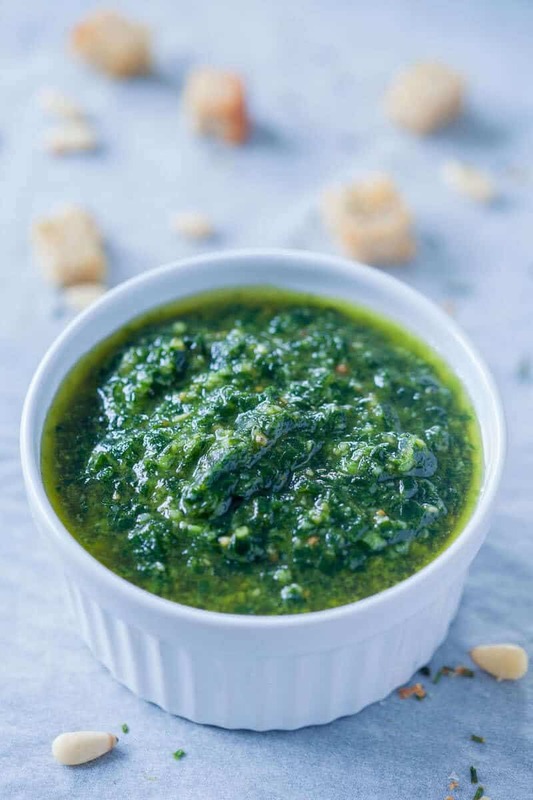 Though the season has since gone, this pesto keeps for months to come. When growing, you can hardly miss this spring gem. When the forest floors are covered in green, the air itself smells of garlic. This wild relative of chives is native to Europe and Asia, but extra caution applies when gathering – the inexperienced can easily confuse the plant with poisonous look-alikes. But worry not. 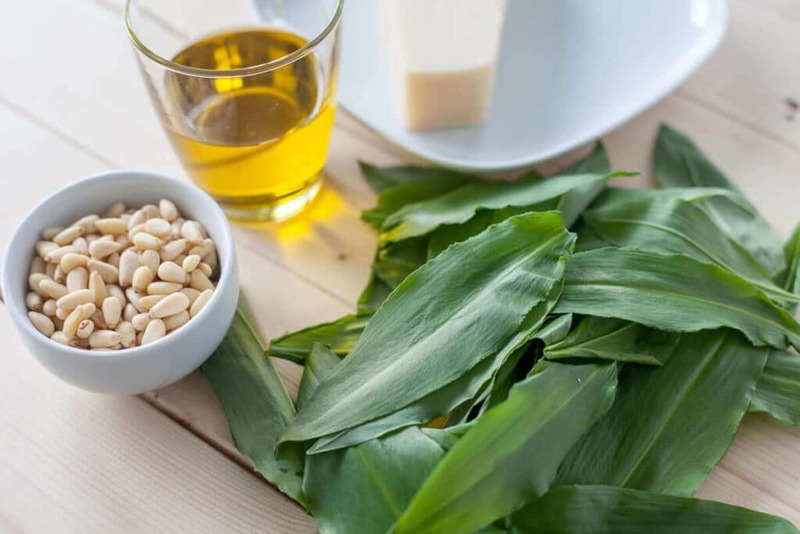 When in the season, wild garlic can be bought even in supermarkets, though the season is fairly short. 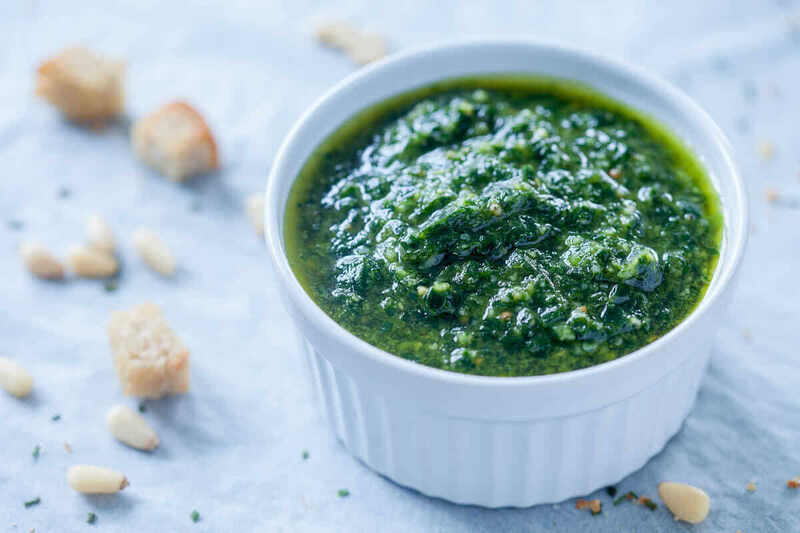 To store wild garlic for later consumption, you can turn it into a delicious pesto, that can be added to your favorite dishes. 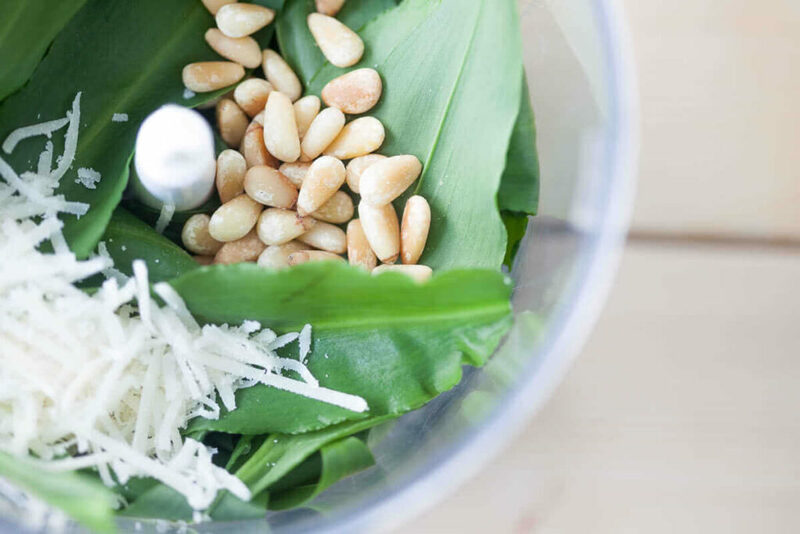 To make the pesto you will need wild garlic, olive oil, parmesan, pine nuts and a pinch of salt. Cool the nuts. Wash and dry your wild garlic. Grate parmesan. You can play with quantities to your liking, there is no general rule here. Then, combine ingredients in a processor and grind well. 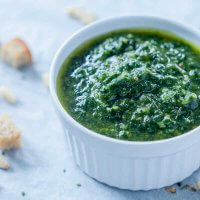 Put the pesto in a jar, large just enough for the pesto to reach almost to the top, then pour over more olive oil, until it covers the pesto completely. This pesto keeps in a fridge for months. 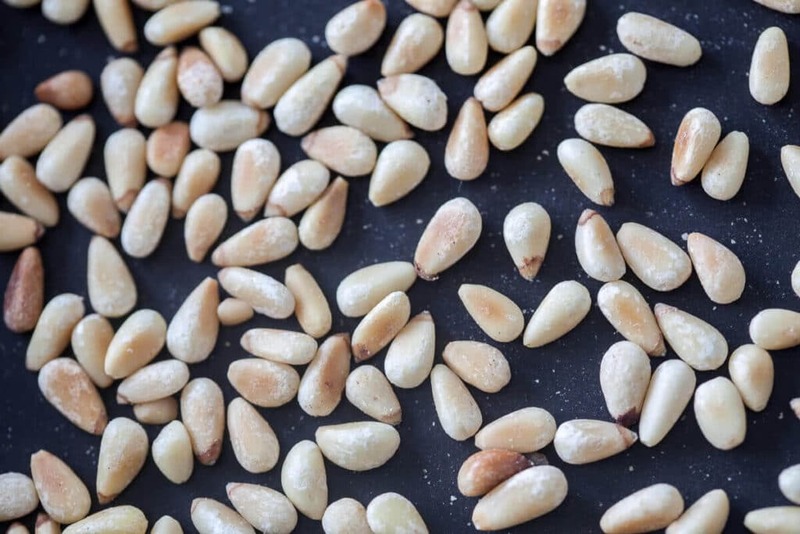 Start by lightly roasting pine nuts, so they develop their flavour. You can easily roast them in a pan on your stove, stirring frequently and being on alert not to burn them. Cool the nuts. Wash and dry your wild garlic. Grate parmesan. Then, combine these ingredients in a processor or blender and blend until the ingredients are finely chopped. Then, pour in about half the olive oil slowly while blending. Put the pesto in a jar, large just enough for the pesto to reach almost to the top, then pour over more olive oil, until it covers the pesto completely. Keep refrigerated.